A few weeks ago Pastor John shared a video from Billy Graham ministries that followed the stories of three individuals as they came to know Jesus as their personal Savior. Below is the included video. Below the video is the link to more information on Billy Graham's site. If you are watching this video and seeing your personal need for Jesus, please don't hesitate to call us at the church for any questions! 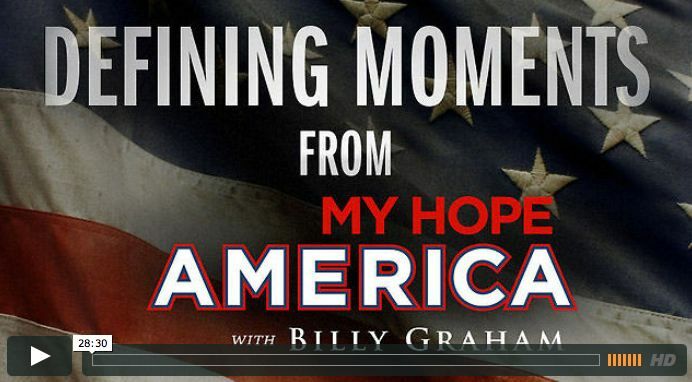 Defining Moments – A Film from My Hope America from BGEA on Vimeo.